I am new to ROS and drone things. I am trying to hover crazyflie 2.0 flashed with PX4 in offboard mode, but unable to make it flying successful. I am using Ubuntu 16.04 with Kinetic ROS and Windows 10 for OptiTrack Motive software. step-1: flashed crazyflie with latest PX4 firmware and calibrated via QGC. configured cfbridge and connected to crazyflie 2.0 via mavros. I did this by following this. step-2: getting position and orientation data from optitrack motive to mavros using vrpn_client_ros. below picture shows the co-ordinate of optitrack and mavros respectively. 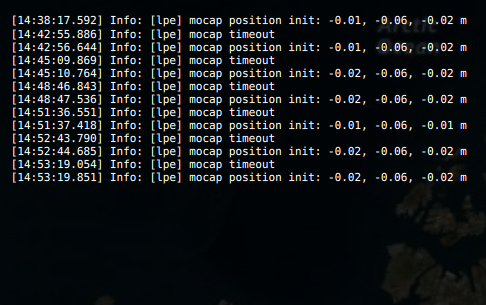 why is it showing lpe mocap timeout info everytime? 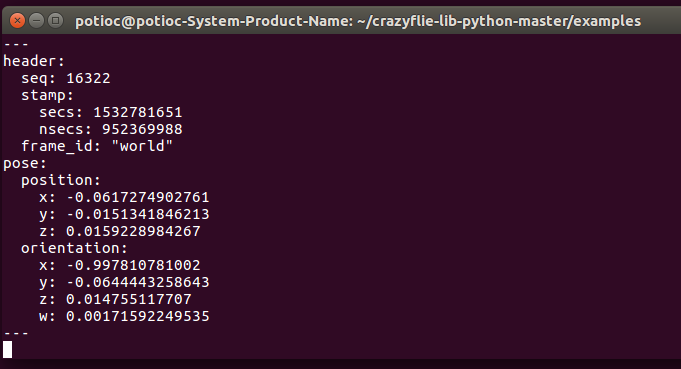 step-6: finally I was trying to hover crazyflie at (0, 0, 0.5) (in meter unit) with mavros offboard example (code url). here is the video of offboard hovering which is not perfect at all. it takes off and flies to any direction, it does not even get a desired altitude. this is the log of my flying. 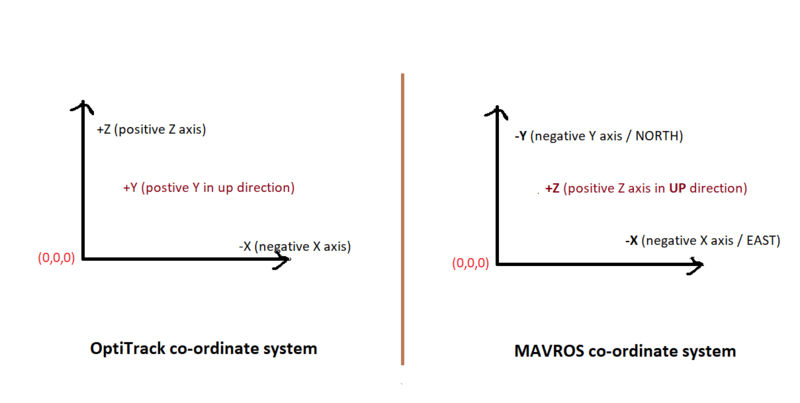 1. mavros co-ordinate - is it correct? 3. lpe mocap timeout - why is it appearing everytime? 4. For crazyflie, TELEM2 port is not working. so default is crazyflie syslink. is it ok?